Tucked away behind Courtney Place Condos is this Highland Hideaway! Immaculate 3 bedroom condo overlooks the lake in this private, double gated, community! 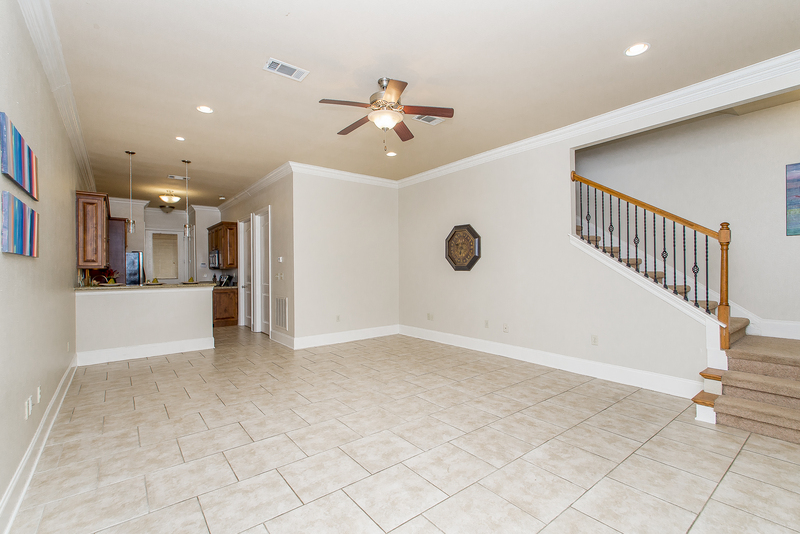 Freshly painted, the living room is spacious with tile flooring and opens to the kitchen complete with granite countertops and appliances. Downstairs is one bedroom and bath. Upstairs are two spacious bedrooms and baths. Double garage opens to the private patio. Well maintained and secure, this community is perfect for college students and young professionals. Rare opportunity to make this your new home … Call or text 225.335.5395 or click here for more info!